In this evening’s edition, TV Patrol started airing special reports on what has transpired in areas most severely affected by last year’s phenomenal Super-Typhoon Haiyan, a.k.a. Yolanda. The most powerful typhoon to ever have made landfall crossed the Philippines on the 8th of November last year; and the special reports, I suppose, are ABS-CBN’s way of commemorating the event. First of all, the areas in Samar which were being shown on television are probably all a long way from being what they used to be. What concerns me about the video clips that were being shown by TV Patrol was that efforts to rebuild seemed to have been aimed simply at restoring what used to be. I can understand this. However, government would have been remiss in its duties if rebuilding was undertaken on the assumption that no more typhoons of the strength of Yolanda will be coming along in the near future. If another one does, then all these structures that were put up in the aftermath of Yolanda will simply be blown away again. Living in the Philippines has always been something of a game of Russian roulette weather-wise. These days, however, there seem to be fewer blank bullets. What I am saying is that the biggest lesson that Yolanda left behind ought to have been that building codes should have been upgraded across the country to take into consideration the possibility that more and more of these super-typhoons will be coming our way in the future. Therefore, rebuilding efforts after Yolanda should not have simply aimed at restoring what used to be but rather to build stronger than what there was before. Upgrading building codes will be difficult to implement elsewhere; but what was unique about the communities in Samar most severely hit by Yolanda was that they were mostly wiped out. In other words, rebuilding could be undertaken from scratch. 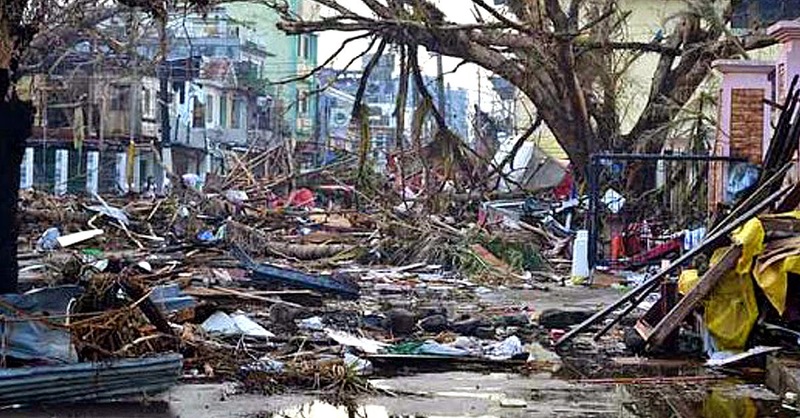 Typhoon Glenda aside – and it was severely traumatising for those of us here in Batangas – 2014 has been a comparatively light year for the Philippines in terms of weather disturbances. Knock on wood, of course; and there are still two months of the last quarter of the year remaining. Historically, as I had written before, it is during the last quarter of the year when the Philippine is most under threat from being hit by these super typhoons. However, from 1945-2010, which was a 65-year span, the country was hit by 25 super-typhoons in the months of October and November. A super-typhoon is one with winds of at least 130 knots or 240.76 kilometres per hour. In that 65-year period, the Philippines had a 36% chance of being hit by one such super-typhoon every year during the months of October and November. Now consider this: last October alone, there were two systems that hit Category 5 status while out at sea. A Category 5 typhoon is one with winds in excess of 249 kph. Both Phanfone – local name Neneng – and Vongfong – local name Ompong – grazed the outer edges of the Philippine Area of Responsibility as super-howlers but were fortuitously prevented by high pressure areas from making landfall in the country. Vongfong, in particular, was at one point terrifyingly close to being as powerful as Yolanda was last year. The only difference, of course, was that Vongfong was at its most potent while over the ocean. Yolanda, as everyone knows, maintained its peak winds even as it cut across the middle of the Philippines. Thus, both super-typhoons headed towards the northern Philippines before curving back northeastwards towards Japan where both lost steam in the colder waters and did not cause damage as would have been expectable had both maintained strength. Even as I write this, Nuri – local name Paeng – is rolling over the ocean almost in the exact same tracks as Phanfone and Vongfong. Earlier today, it was upgraded by the Joint Typhoon Warning System into a Category 5 super-typhoon. While the two earlier howlers were deflected into the northeast by high pressure ridges, Paeng was not allowed into the country probably by the timely resurgence of the northeast monsoons. The point of all these is that any one of those three super-typhoons – and possibly all three as a worst-case scenario – could have hit the Philippines. That none did was either an act of Divine Providence or just a matter of darned good luck. I will leave it to the engineers and the architects to figure out how; but the simple truth is that there is no choice but to figure out how to build in spite of these increasingly frequent, destructive and frightening super-typhoons.